Safe workplaces should be the goal all over the world. But the specifications and laws governing safety of plant and machinery differ from country to country. Machinery that complies with the directives and standards of one country may not conform to those of another. Are you a manufacturer who would like to export a machine to another region? Then you must comply with the directives and requirements of the country to which you are exporting. 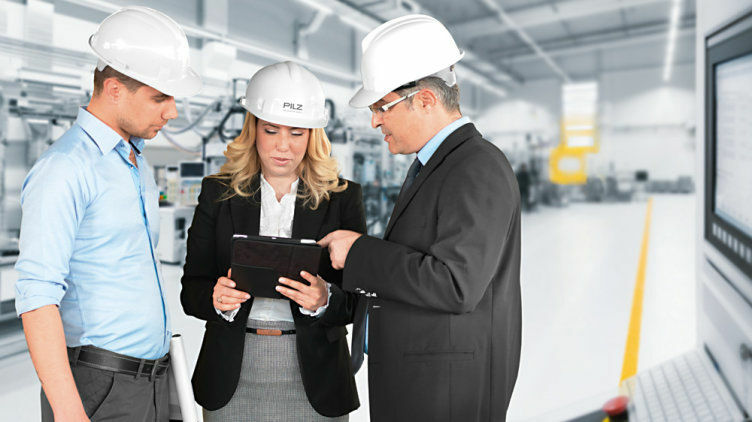 The Machinery Directive provides for a standardisation of European machinery safety requirements. After a conformity assessment has been performed, a CE mark is affixed. This is how you as the manufacturer verify that a machine fulfils all safety requirements contained in Machinery Directive 2006/42/EC. In the USA, references are generally made to UL or OSHA. UL publishes safety standards. Among other things, these standards contain requirements for electrical devices and components. As an agency of the U.S. Department of Labor, the Occupational Safety and Health Administration (OSHA) requires that all electrical devices in workplaces comply with the relevant UL standards. In South America, the most relevant directive for machinery safety is Brazil’s NR-12. It introduces technical references, basic principles and protective measures to ensure the health and physical integrity of workers. It also establishes minimum requirements for accident prevention across the entire lifecycle of a machine. In Asia - China, for example - technical products must be certified according to the specifications of the China Compulsory Certification (CCC) system. Most other countries have different specifications. What do you need to do if you want to export a machine? If the proper declarations of conformity or other documents are missing, your machine may not receive an import permit at customs. Getting the necessary approvals at that point is a complicated and lengthy process. That is why Pilz supports machine builders during international conformity assessment procedures. By producing these "passports for machinery", we are opening up access to international markets for you.